One Cook is Going Down! FOOD FIGHTERS Review EXCLUSIVE! “Food Fighters” is an upcoming television show to air on NBC hosted by Adam Richman who achieved success after his stint on “Man Vs Food”. 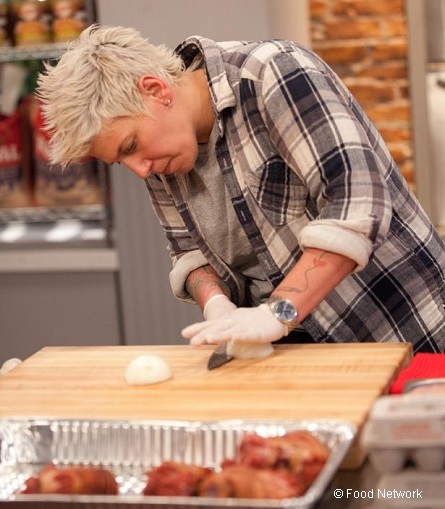 It’s an extreme cook-off challenge where pro chefs meet amateur home cooks. A similar format to GSN”s “Beat the Chefs,” except here, it’s one chef vs. one cook where they each have to cook at their best through five different dishes, one after the other in a five round extreme cook-off battle. The set consists of two kitchens, one for the professional chefs, and one for the competitors. The television show allows a home cook to compete against a professional chef one at a time, and they can win up to $100,000. The home cook comes onto the show with five of their favorite recipes. During each round they get to choose which one they are going to cook, and the chef must create a version of it. Some of the professional chefs two of which were Michelle Ragussis, and Joshua Stone, had celebrity clients, while others won awards, and were top chefs at fancy restaurants. Each one of the chefs had their own unique style, and was experienced cooking different types of cuisines. In the first round, the contestant can win $5,000. Richman introduces the first chef by explaining their accomplishments, the audience claps, and then the contestant meets the chef. The contestant decides which dish they want to challenge the chef to, and then they go to their kitchens to begin preparing the dish. They must prepare the food within a twenty-five minute time period. When the time is up, the food is taken over to a dinner party, whom will taste both dishes, make comments, and vote on whose they felt was better. The contestant gets to compete in five rounds, and they get to keep going regardless of whether or not they win each round. The chefs chosen were quite entertaining; one in particular knew how to work quickly. She frequently worked with celebrities, and once had to prepare 4,000 brownies for an award show. During the competition, she made sassy remarks at the contestant, and was quick with a joke. She knew how to prepare the dish, while adding a touch of her charming personality. NBC did a wonderful job when selecting their chefs, because not only does a television chef have to be able to cook well, they need to have stage presence, and know how to connect with an audience. This task is difficult, because they are focusing on preparing a delicious recipe, adding their touch of creativity, and topping it off with their personality. There was another chef who possessed a warm, loving presence. Her specialty was seafood; she runs one of the top seafood restaurants in Maine. Richman is a great host; he is the kind of person everyone loves. He is inviting, well spoken, funny, and comes across as someone people would want to have as their neighbor. He encourages the contestants when they lose rounds by reinforcing how great they are, how their family must be so proud, and reinstates how talented they are. During the different prep periods, he will ask the chefs a couple of questions such as how are you doing? How do you feel about this? Sometimes the chefs get nervous, because they are preparing dishes they do not normally cook, or can be challenged by a dish they never heard of. The show is entertaining, it is something a family can sit down, and enjoy together. The host is lovely, and the chefs all contributed a piece of their personality while cooking. 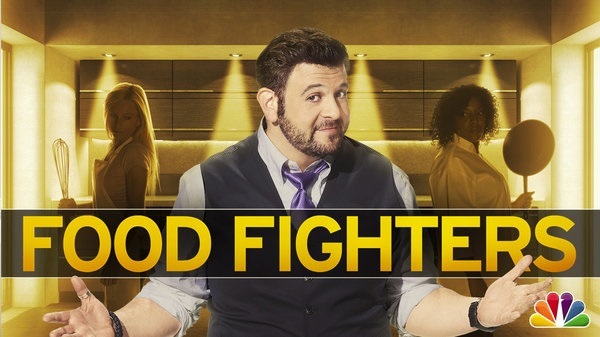 “Food Fighters”, created by Tim Puntillo (“Minute to Win It,” “Baggage”) will air on NBC this fall.